This entertainment-ready kitchen provides easy access to the back patio through a garage door style window and pass through. Love the window! Where did you find the pass through window? Hi there! That window was manufactured by Heartwood Window and Door, a division of Rochester Colonial. Thanks for your question! 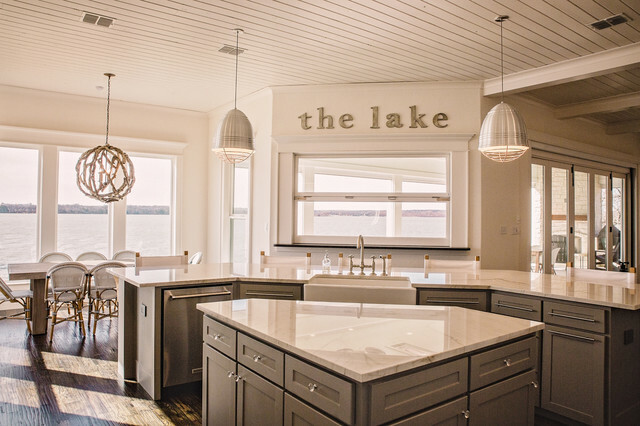 Cape Cod Osterville Kitchen featured on Houzz as "Kitchen of the Week"